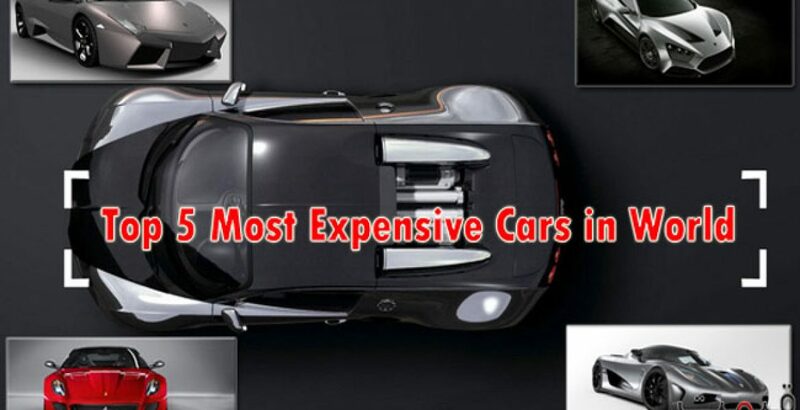 So, here goes the list of top 5 most expensive cars in the world for the present year. It does not necessarily mean that a car is “most expensive” by its popularity since popularity is only one of the aspect of many others. It comprises of features, design, performance, speed and security and so many other aspects of the car. The list combines third generation’s luxury cars, expensive sports cars and most powerful cars. The fifth place comes from sports class. Lamborghini Reventon is a mid-engine, 6-speed, 4-wheel drive car with a price of $1.6 million USD and highly popular in different countries of the world like USA, UAE, Europe and UK. It has a V12 powerful engine and is most expensive car made by Lamborghini up till 2012. The maximum speed is extreme as recorded 356 km/h. It was first showed in Frankfurt in 2007 by the Lamborghini group. Another sports-class, mid-engine and 7-speed sports car occupies the fourth place in the list of most expensive cars of the world. Agera is produced by Koenigsegg, a Swedish car manufacturer and was first exhibited in March, 2011 at Geneva Motor Show. Maximum speed of this car is 390 km/h and it has V8 turbo engine. Its price is $1.71 million USD while for a customized car price range varies. Zenvo ST1 or Zenvo is a 6-speed, 2-door sports car with a V8 powerful engine. It has a different layout than other expensive sports cars in the world. The third in most expensive cars in the world is manufactured by Zenvo Automotive and assembled in Denmark. The production of car was started in 2009. ST1 top speed is 375 km/h and its price is $1.8 million USD. This Italian sports car is used for specific purposes and not commonly seen on roads. The car was first showed in 2009 Geneva Auto Show in Swedish city of Geneva and it is enriched with the evolution package consisting of redefined aero, Pirelli tyres and many other electronic improvements. 599XX comes with a V12 powerful engine and mostly come into action in formula racing. The car price is $2 million in USD. World most expensive car is Bugatti Veyron EB a mid-engine sports car with an extreme speed of 431 km/h. It is also called the fastest speed car of the world and comes in two versions, standard and super sport. The car is assembled in France by Bugatti Automobiles while its design and development is made by Volkswagen Group. This Car has 16-cylinder engine W16 engine with quad-turbocharged function. The price of Bugatti Veyron EB is $2.6 million in USD.